Walnut Grove is the former estate of the Hammond family, descendants of a wealthy Boston merchant. Consisting of a 3-story clapboard house and numerous barns and other outbuildings, the estate is a well-preserved example of a 19th-century “gentleman’s farm”—property traditionally used as a country vacation home for upper-class urbanites. 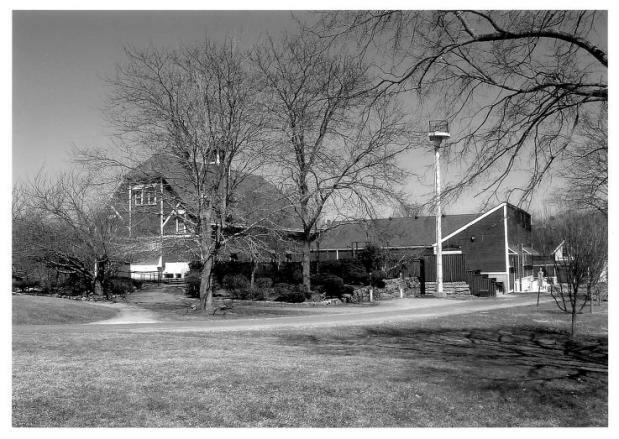 With representation from the Federal, Gothic Revival, and Colonial Revival styles, this Waterford, Connecticut, landmark received a listing on the National Register of Historic Places in 2005 for its contribution to furthering the understanding of nearly 200 years of New England history. Walnut Grove began as the estate of William North, a resident of New York City who served as aide-de-camp to Baron von Steuben during the Revolutionary War. The estate got its name from a cluster of Walnut trees that grew overlooking Long Island Sound and became the first in a series of Waterford summer homes built by wealthy out-of-towners. After North’s passing, his daughters sold the property to Major Thomas W. Williams of New London in 1835. Williams and his son amassed a small fortune whaling and sealing—an occupation that required they spend most of their time in New London. 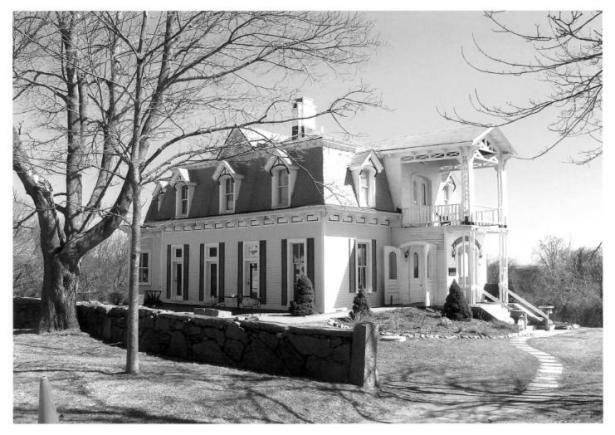 Gardiner Greene Hammond bought the property from Williams and used it as a summer residence and gentleman’s farm in 1862. Hammond was the grandson of Gardiner Greene, a man who became Boston’s wealthiest merchant in the early 19th century through the trade he established with merchants in the West Indies. Under the Hammond family, the property took on much of its present appearance. Among the more substantial changes was the addition of a third story and alterations to the original Federal-style architecture to bring it into line with the popular Colonial Revival style of the early 20th century. Hammond’s third son, Edward Crownshield Hammond, eventually took over the property from his father. Edward married Anna Chapin Rumrill—the daughter of another wealthy family that owned an estate in Waterford and the woman who later donated the money for the public library operated in Waterford between 1928 and 1960. Edward died in 1940 and his children sold the property to the Town of Waterford a little over 20 years later. 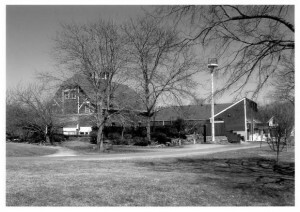 The estate became part of a town-owned recreation area that included the Eugene O’Neill Theater Center. Today the Theater Center provides opportunities for new artists and writers to hone their craft through conferences, individual instruction, and the production of original plays. “The Eugene O’Neill Theater Center,” 2012. Link.